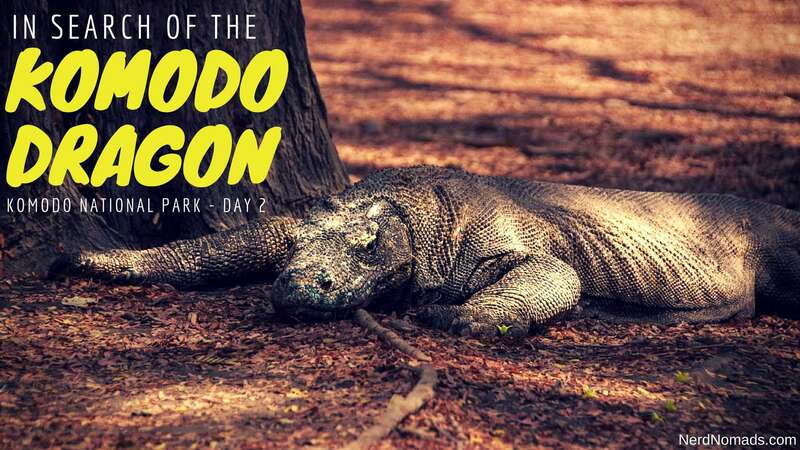 We were so happy with day one of our Komodo National Park adventure that when we woke up really early on the second day, we were excited to head out in the search of the legendary Komodo dragon. We love to sleep and usually sleep until noon if we can, but sleeping on the beach does something to you – you wake up smiling when the sun rises around 6 a.m. no matter what. We got served delicious breakfast on the beach before heading out to sea in search of dragons and mantas. The Komodo dragons only live on five islands in the world, all in Indonesia – Komodo, Rinca, Flores, Gili Motang and Padar. The first island we visited in the search of Komodo dragon was, of course, the island that gave the name to the lizard – Komodo Island. It was extremely hot that day, around 35 °c, and we were sweating like crazy. 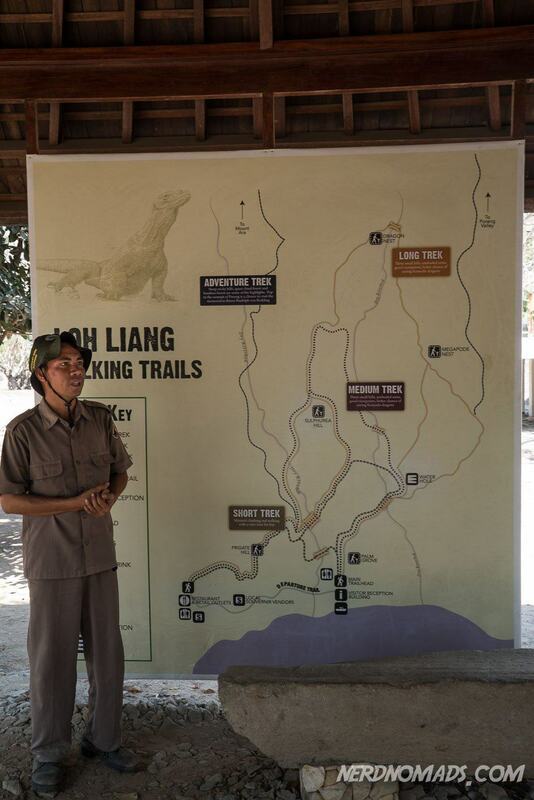 Once we entered the park, we were met by a friendly guide who organised our tour around the island. 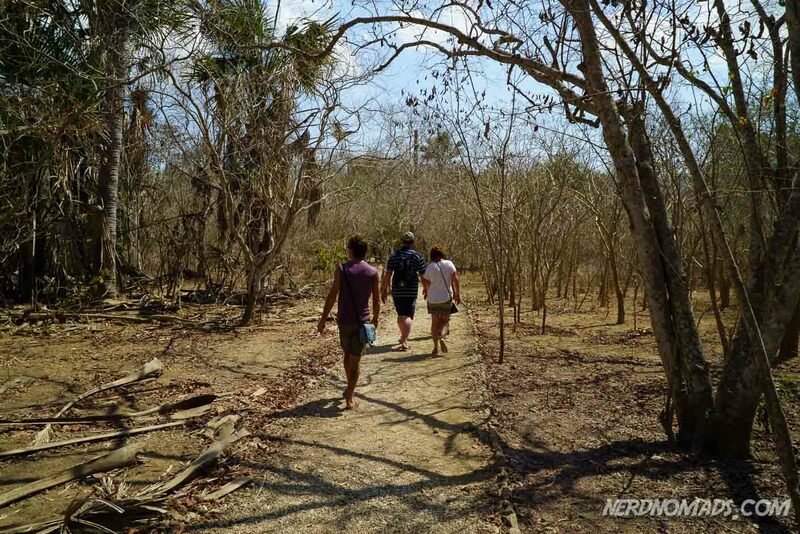 There are several tracks to choose from on Komodo Island, but since is was so freaking hot we decided to go for one of the shorter tracks. 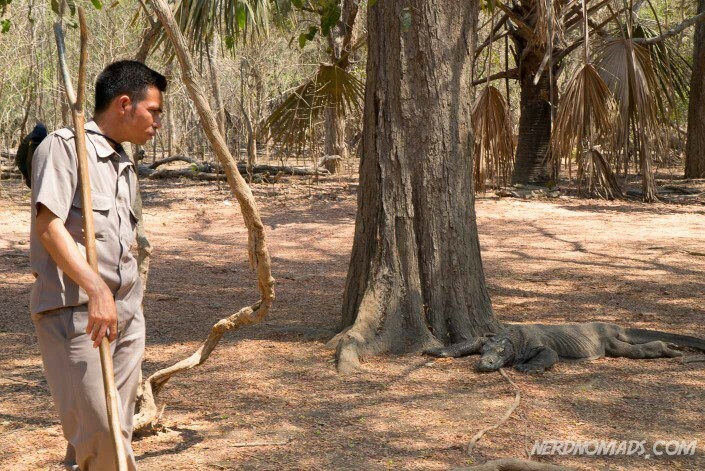 Where are you Komodo dragon?! At first we only saw deers, plenty of them. They were not afraid of us at all so we could get real close. 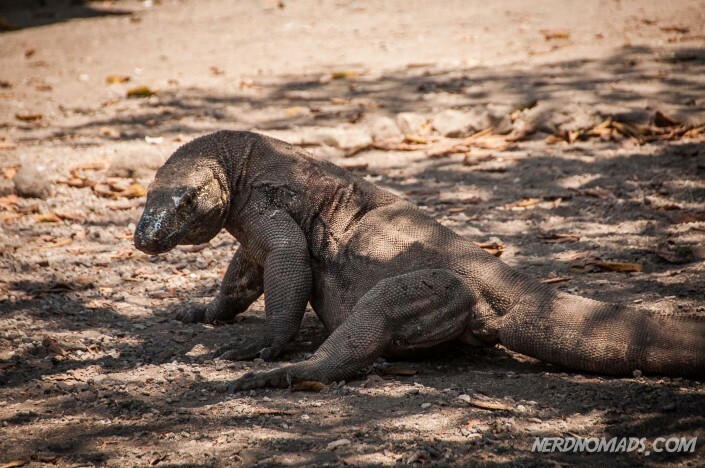 The evolutionary development of the Komodo dragon originated in Asia as far bask as 40 million years ago, so we are talking real prehistoric animals here. It then spread to Australia and it is believed that today`s Komodo dragon evolved in Australia before spreading to Indonesia about 4 million years ago. The Komodo dragon was however first recorded by Western scientists as late as 1910. In 1926, W. Douglas Burden went on an expedition to Komodo Island to capture some Komodo dragons for the New York zoo. He set sail with a team of adventurers including a hunter, a herpetologist, a cameraman, and his wife. They returned with 12 preserved specimens of which three are stuffed and still on display in the American Museum of Natural History, and 2 live Komodo dragons. It was Burden who came up with the common name “Komodo dragon”. This Komodo Island expedition was actually the inspiration for Burden’s friend, the filmmaker Merian Cooper`s then upcoming movie King Kong (1933). The biography of Cooper claims that much of the story in the film is based on Burden`s Komodo Island expedition, everything from the female on the expedition (originally Burdon`s wife) to capturing King Kong and bringing him back to New York and the zoo. 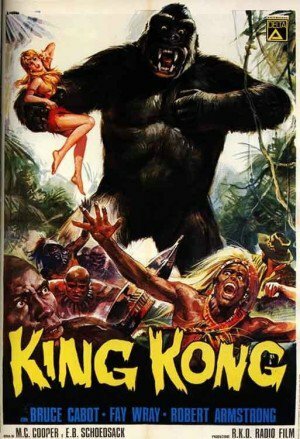 Cooper apparently liked the strength of the hard “K” in Komodo, so that may have been the reason for calling his movie King Kong. But how has the Komodo dragon become so gigantic? One theory is that their unusually large size is because there are no other carnivorous animals filling the niche on the islands where they live. As a result of their size, these lizards dominate the ecosystems of these five islands. Komodo dragon`s hunting style is exceptional in the reptile world, but a bit cowardly in my opinion. 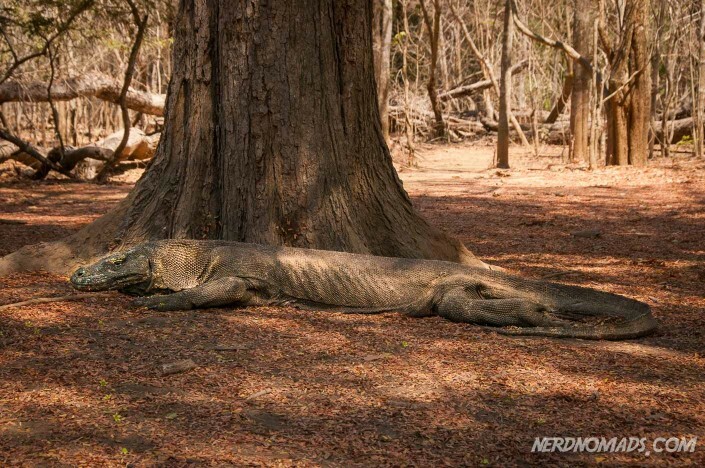 The thing is that Komodo dragons have a venomous bite as their jaws produce toxins. 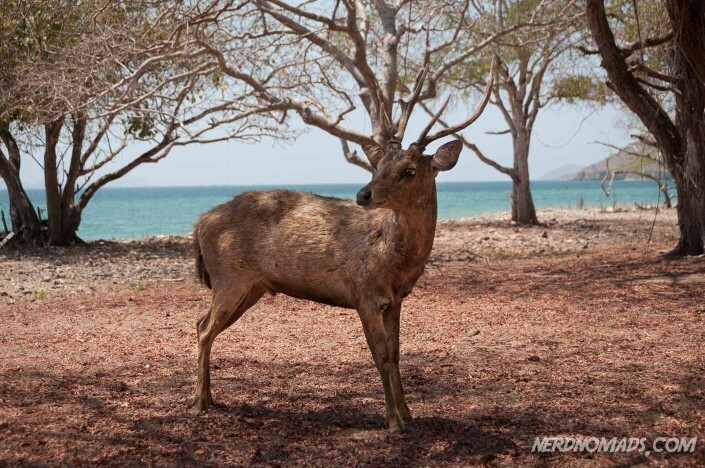 So they ambush their prey (birds, deers and water buffalos) by biting it for instance in its leg, and then they wait and follow their prey until it dies peacefully by toxication. Komodo dragon can be up to 3 meters long and weigh around 70 kg! 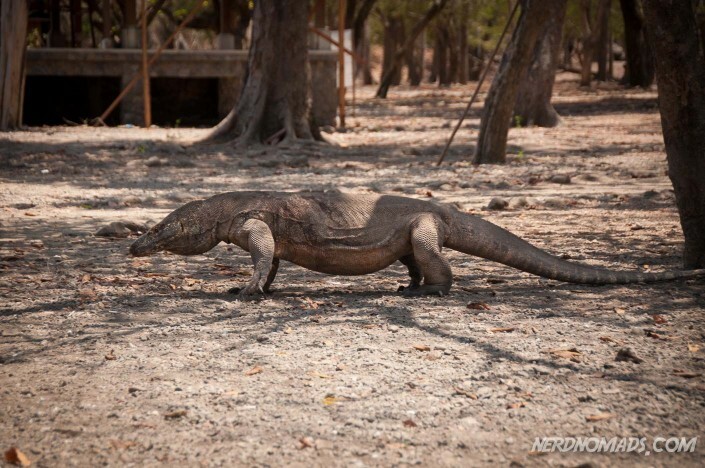 Komodo dragons have an extreme sense of smell and are able to detect carrion up to incredible 9,5 km away. They can sprint up to 20 km/h in short distances as well as dive down to 4,5 meters, and when young climb up trees using their strong claws. So watch out, they can catch you anywhere! 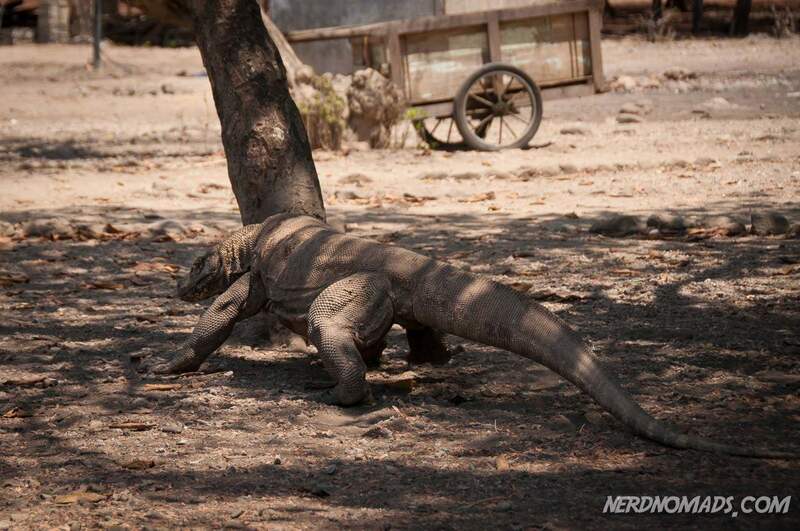 Do Komodo dragons attack humans? Yes, they do! 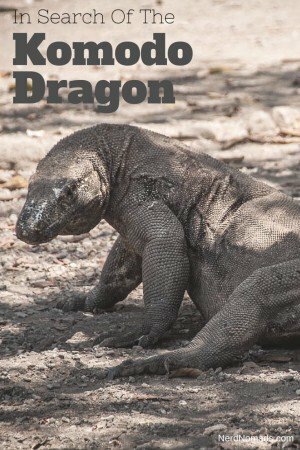 It is very seldom thank god, but the guides, of course, tell these awful stories about how friends, family members and tourists have been attacked by Komodo dragons. Their large size and fearsome reputation make them popular zoo exhibits. Due to human activities, there are unfortunately not many left in the wild. They are listed as vulnerable by the International Union for Conservation of Nature (IUCN). 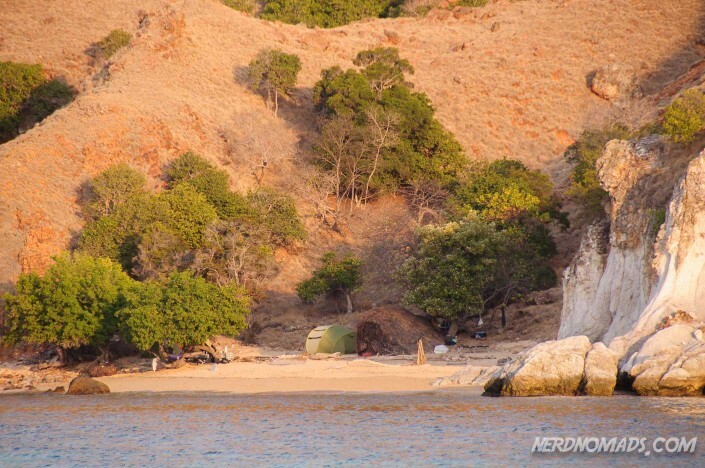 Komodo National Park is not only famous for the Komodo dragon, it also contains a beach with pink sand. It is one of only seven pink beaches in the world. Pink Beach. Not that pink if you ask me. Why is the sand pink? Well, from a distance it does not look that pink in my opinion. But once you go ashore it looks a bit pinkish from a mixture of white and red sand. The red sand is formed from pieces of red shells. The beach is, however, a very popular tourist spot and it was packed with Chinese tourists dipping around in the ocean with bright orange vests when we visited. We did not stay on the beach for long, only snorkelled ashore, went for a short walk on the sand, and swam back out to the boat again. 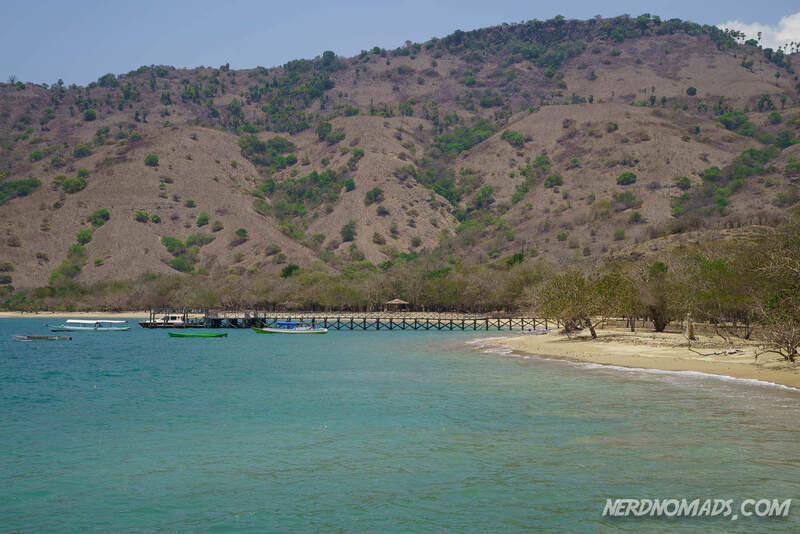 Not our favourite part of the Komodo National Park. 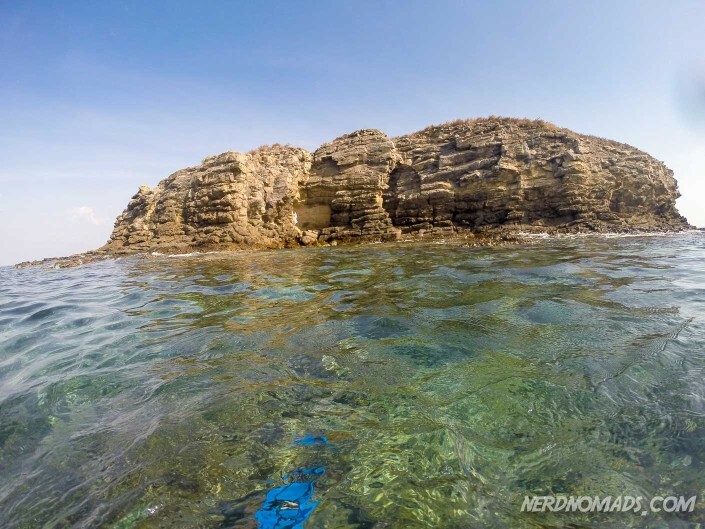 We were not that impressed by Pink Beach and it`s snorkelling, but Batu Bolong was definitely something else! It is a very small island, more like a rock, out in the ocean surrounded by an incredible coral reef. 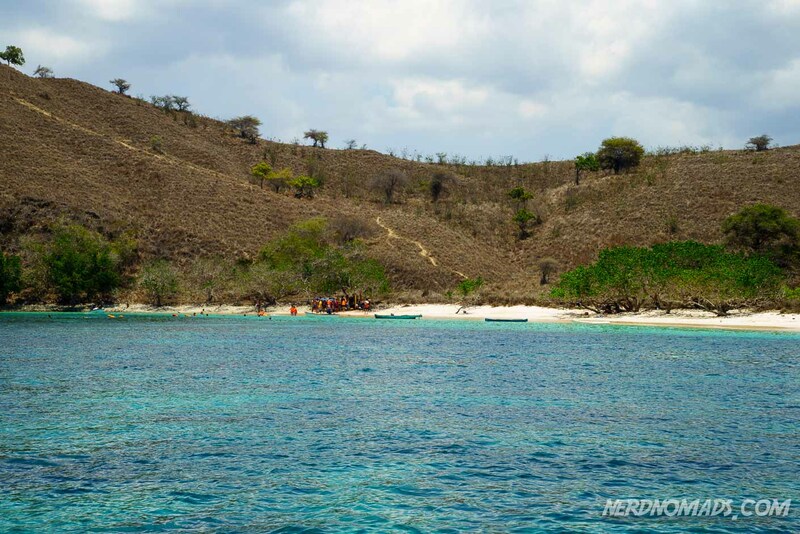 It is probably one of the best places to snorkel and dive in Komodo National Park. The current is however pretty strong here, so you have to be careful not to be dragged on shore and cut yourself on the sharp rocks. 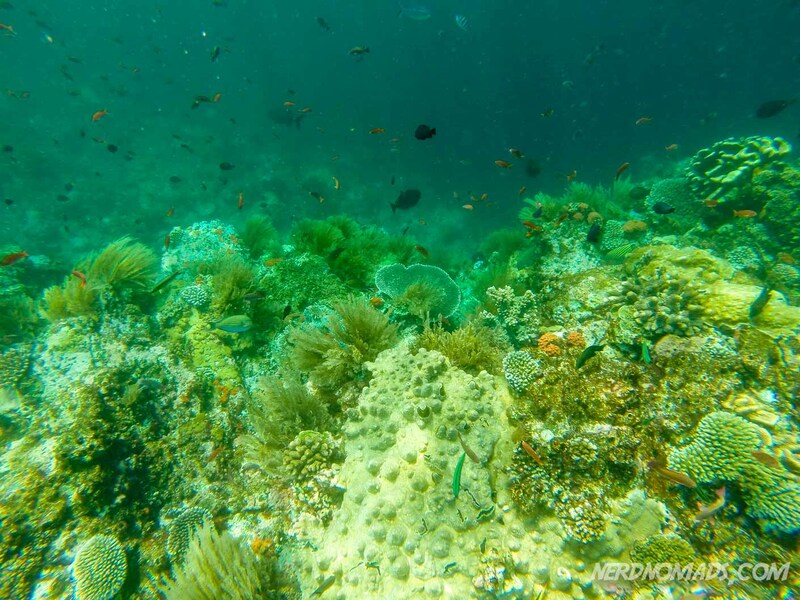 The coral reef at Batu Bolong is packed with colourful fishes. It felt like swimming in an aquarium. So beautiful! 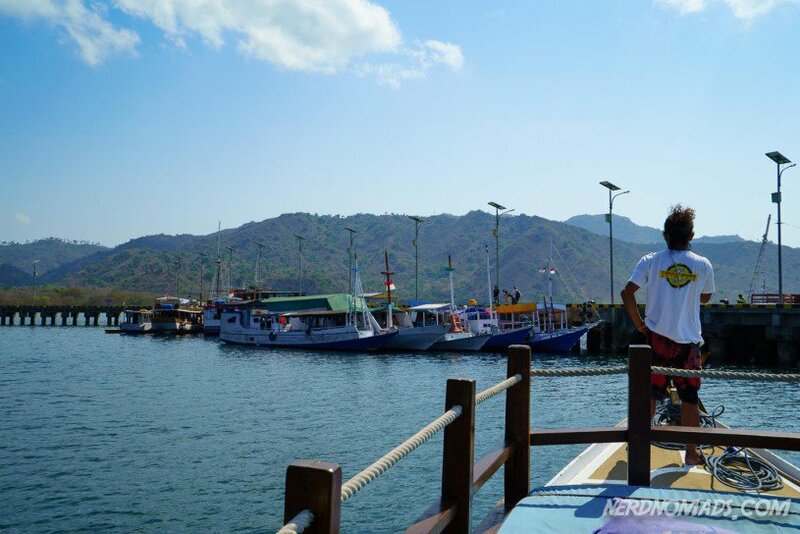 The highlight of day 2 of our Komodo National Park adventure was the stop at Manta Point. OK, the Komodo dragon was cool too, but nothing beat swimming with mantas which has been high up on our bucket list for like forever. 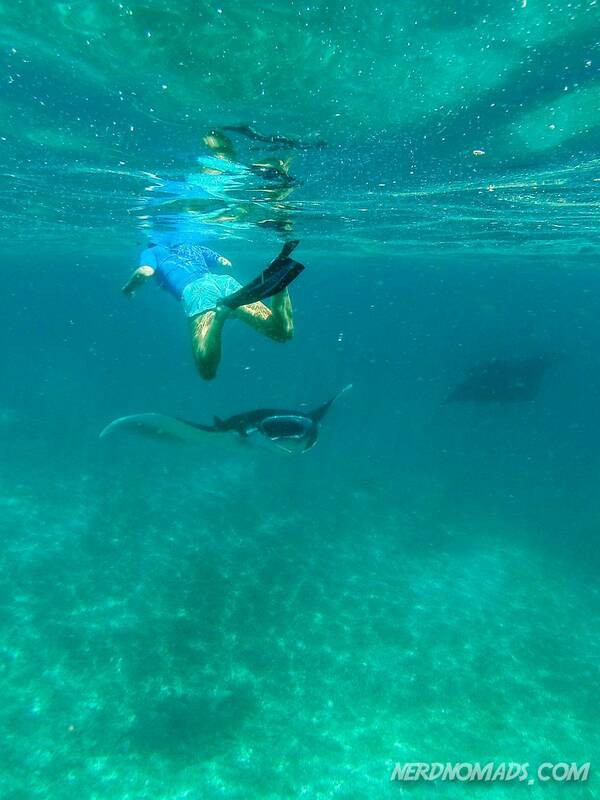 Me swimming with mantas! Yay! 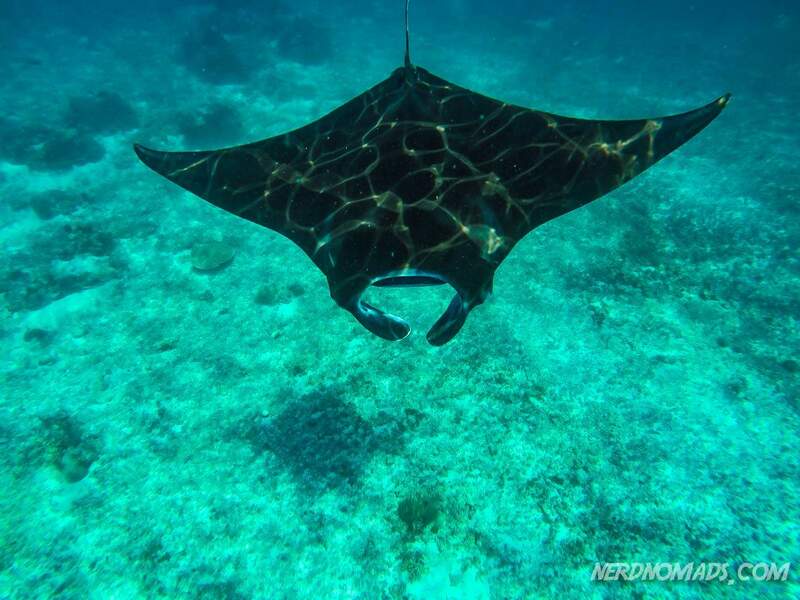 The mantas came real close. 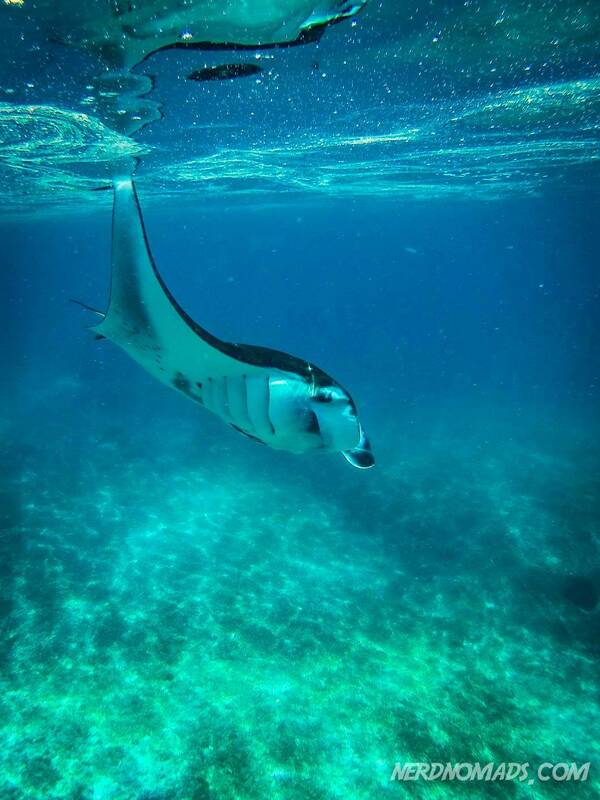 If you get the chance to swim with mantas, whatever you do, do NOT touch them! 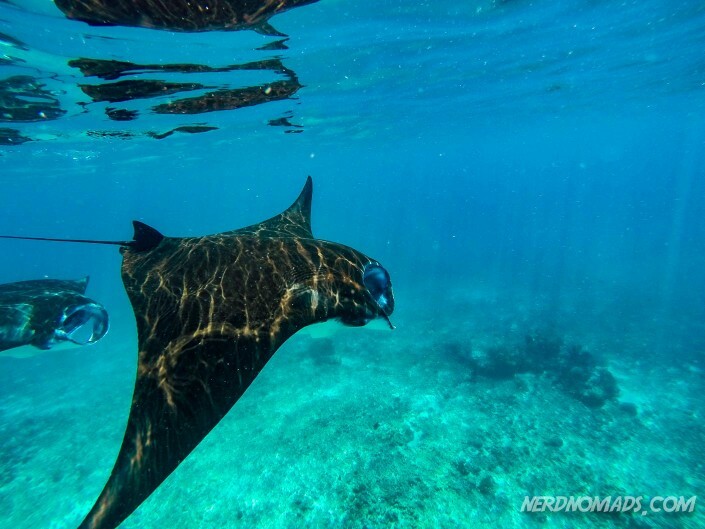 Touching a manta harms the protective slime coating on its skin. They also don`t like being touched, and might leave the area all of a sudden. 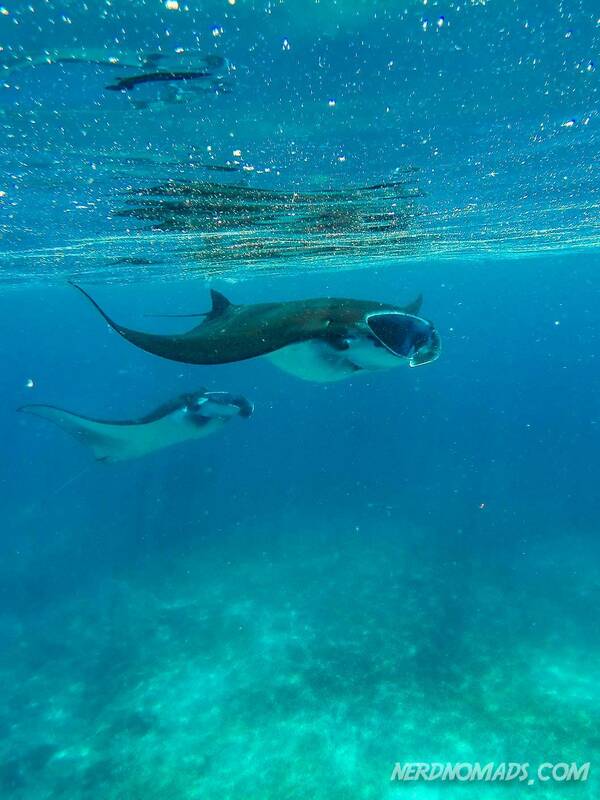 But we did not have to worry, mantas don`t eat humans, only planktons. They swim with their mouths open and filter planktons like shrimp, krill and planktonic crabs which they swallow while they swim. 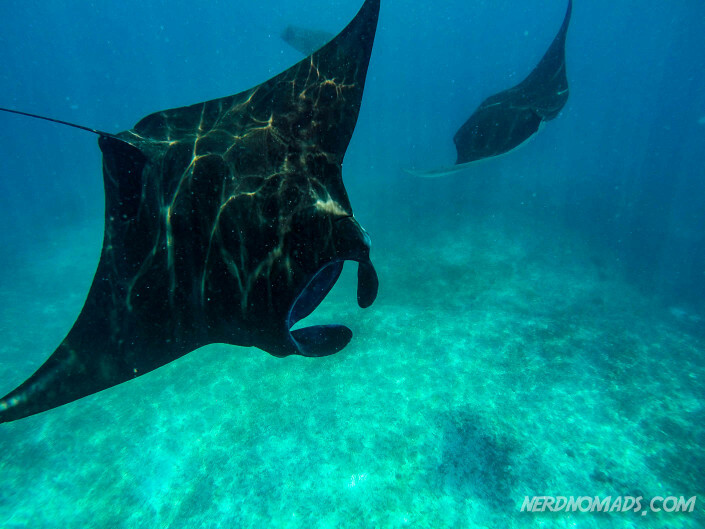 They eat an tremendous amount of planktons, an individual manta eats about 13% of its body weight each week! That is a LOT of planktons! Mantas often visit cleaning stations on coral reefs to remove external parasites, where small fish eats off their parasites. Maybe that is why they all come to this spot? Or maybe it is an area with high density of planktons? A manta with beautiful pattern, almost like “zebra stripes”. 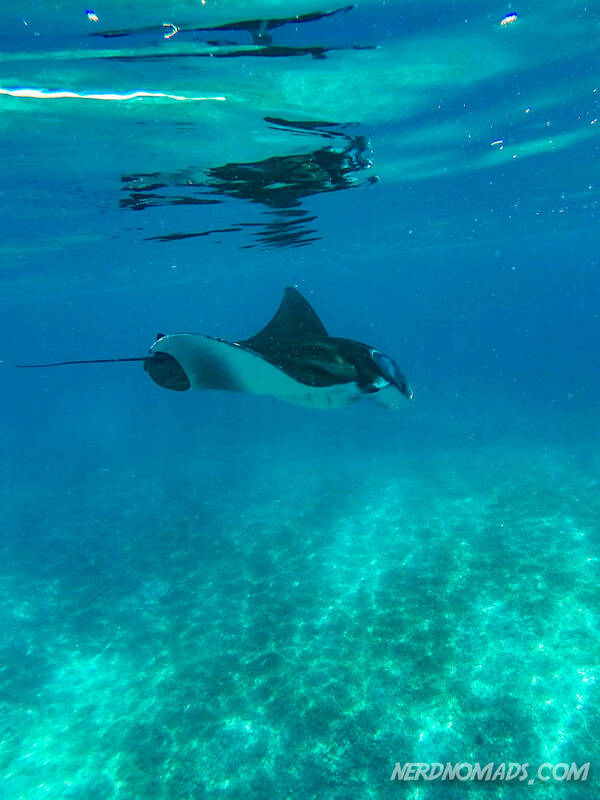 Mantas are listed as vulnerable by the International Union for Conservation of Nature (IUCN). They are threatened by pollution, entanglement of fishing nets and direct hunt by humans for their gills to be used in Chinese medicine. Their slow reproductive rate increases these threats and make them very vulnerable. 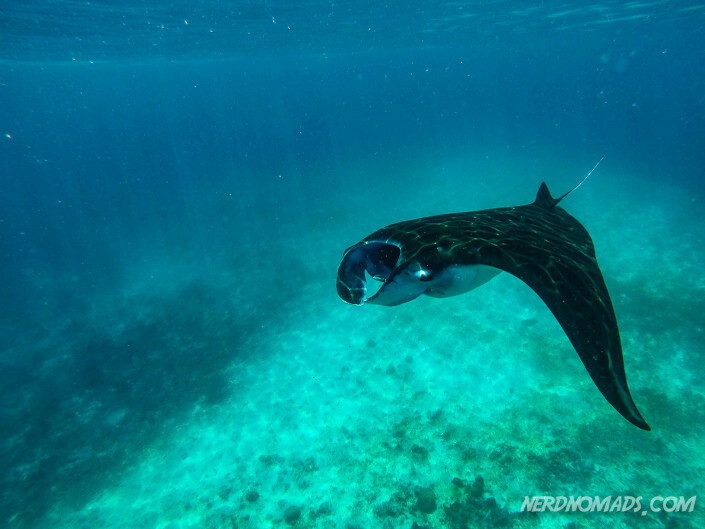 Mantas can be as wide as 7 meters! We also bumped into a huge steam of fish, sparkling like silver. They totally surrounded us. 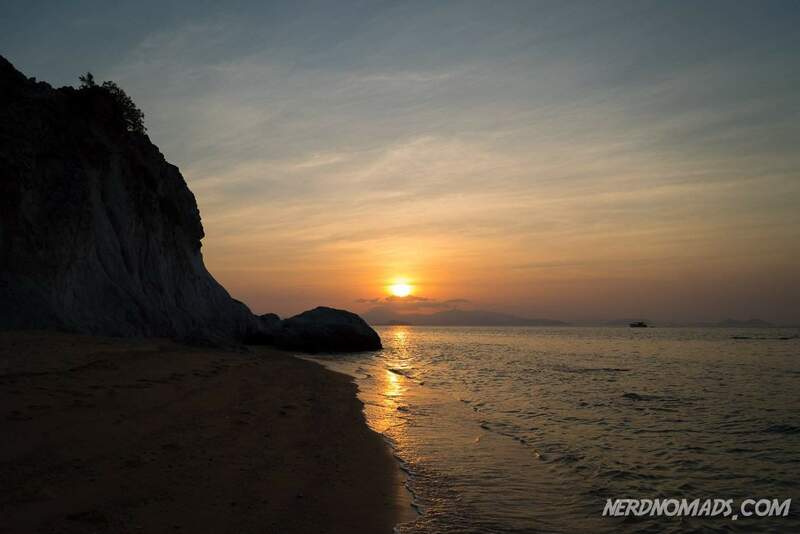 Back at camp on Sebayur Island we got served delicious fish for dinner while watching the most spectacular sunset. We finished off day 2 of our Komodo National Park adventure with a bon fire at the beach, before crawling into our sleeping bags on the beach under millions of blinking stars. 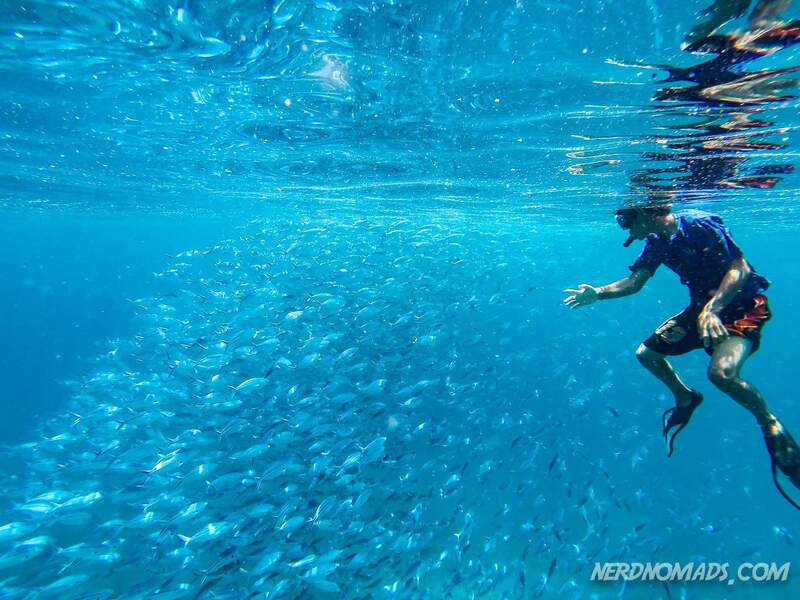 Komodo dragons, mantas, a pink beach and thousands of colourful fish all in one day – can it get any better? 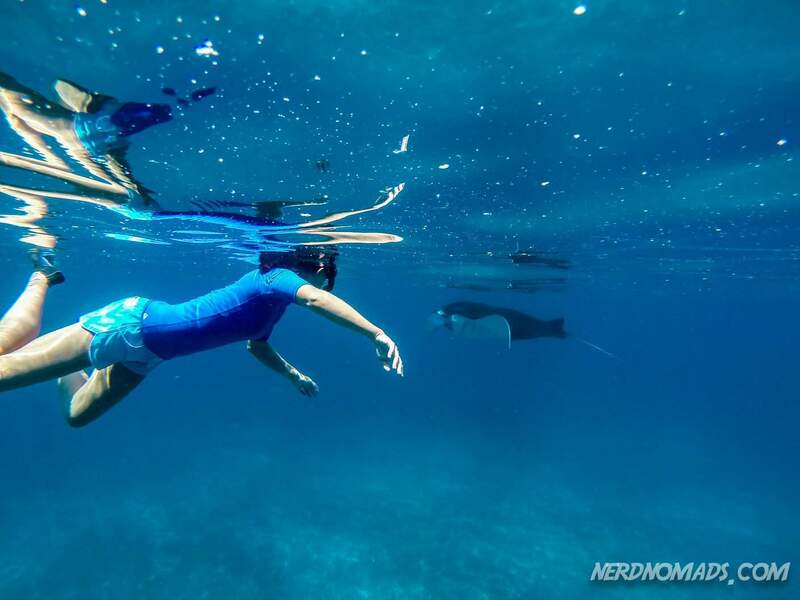 The second day of our Komodo National Park adventure was just as perfect as day 1 and felt like a dream come true, especially swimming with mantas. 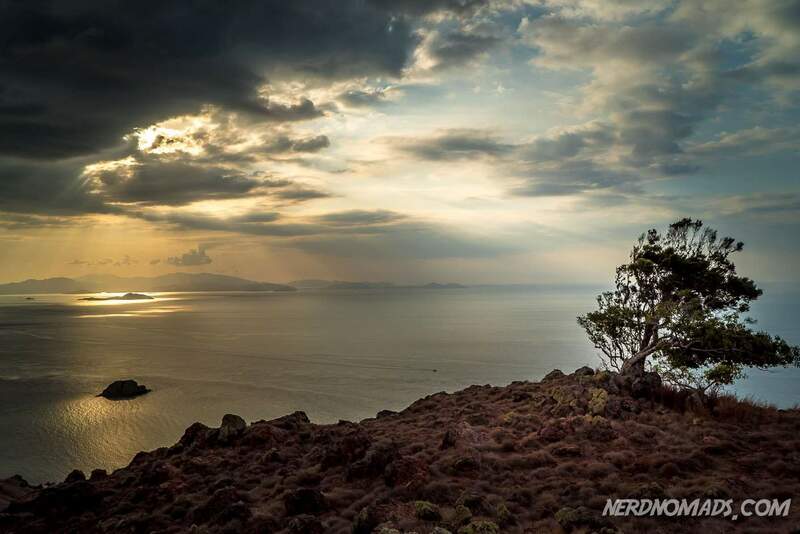 What will the last day of our Komodo trip bring? 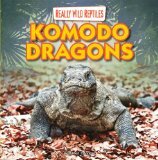 Stay tuned for some more Komodo dragons, a mountain trip on a deserted island, making new best friends in a fishing village and thousands of giant bats……. We stayed at Laprima Hotel in Labuan Bajo before and after our three-day boat trip with Flores XP, and had an excellent stay. This hotel has one of the best locations in Labuan Bajo, right by the sea and away from all the hustle and bustle in the main village. It is however within walking distance to the main street of the village. The hotel has a top notch swimming pool right by the sea, which we loved! Gorgeous view from the room, with the most stunning sunsets. The food is not the best however, but there a are plenty of nice restaurants in the main street so we mostly ate there. They have ok wifi both in the rooms, restaurant and reception. This place looks like paradise! It gets very high score on tripadvisor, and looks fantastic. 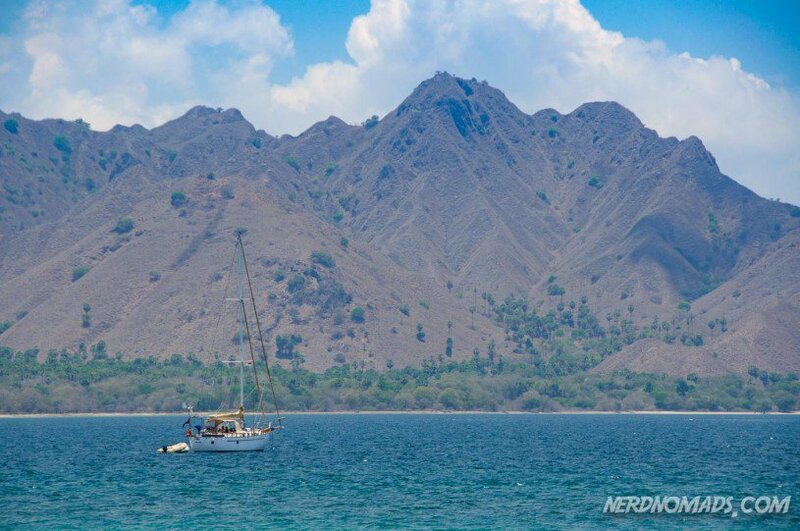 This is the place we`ll be staying at on our next trip to Komodo National Park, no doubt. It is located on the same island as we slept on, Sebayur Island, although we slept in tents on the other side of the island. It is a beautiful island. We wanted to stay at this hotel in Labuan bajo, but it was unfortunately fully book while we were there. It looks lovely, with amazing view and a great swimming pool. It is beautifully located on a small hilltop surrounded by a nice garden. This is a fairly new hotel, only three years old and looks really nice. It is beautifully located in a garden right by the sea, and the swimming pool looks heaven! It is though further away from the main center of Labuan Bajo than Laprima Hotel where we stayed, but the hotel has a free shuttle into town. This is also beautifully located by the sea with a lovely swimming pool. What an exciting destination. 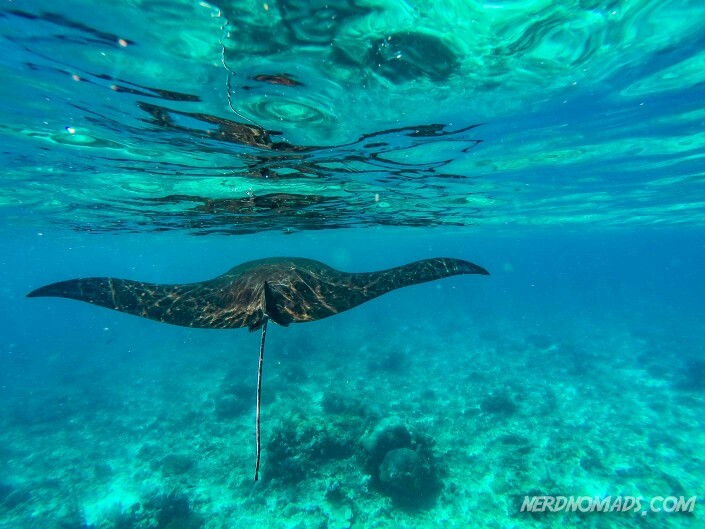 I would love to see the komodo dragon, and the diving with the manta rays. Your photos are wonderful, a virtual tour. Thanks. Thanks Rhonda, so happy to hear that you like our photos! 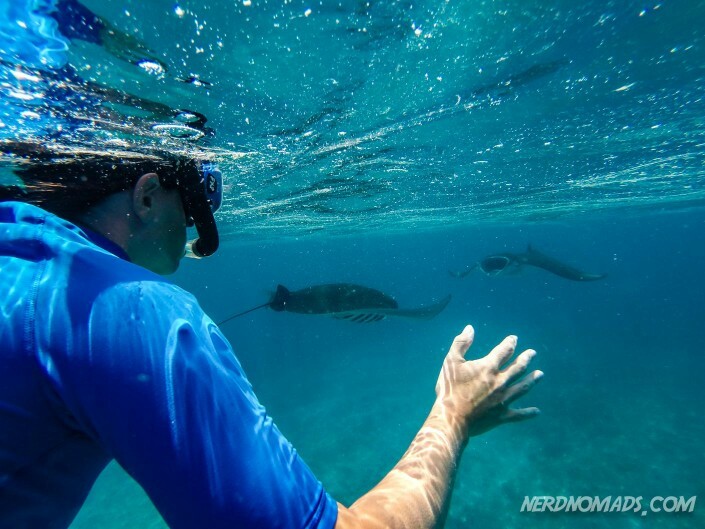 It sure was a memory for life, both seeing the Komodo dragons up close and swimming with manta rays. Loved it! You should definitely visit Komodo National Park, I`m sure you will love it too. Your photos are breathtaking! You describe your journey so well that I feel that I am traveling with you in the magical rhythms of paradise. I love your blog!!! Thank you for showing me the legendary Komodo Dragons and the majestic Mantas. 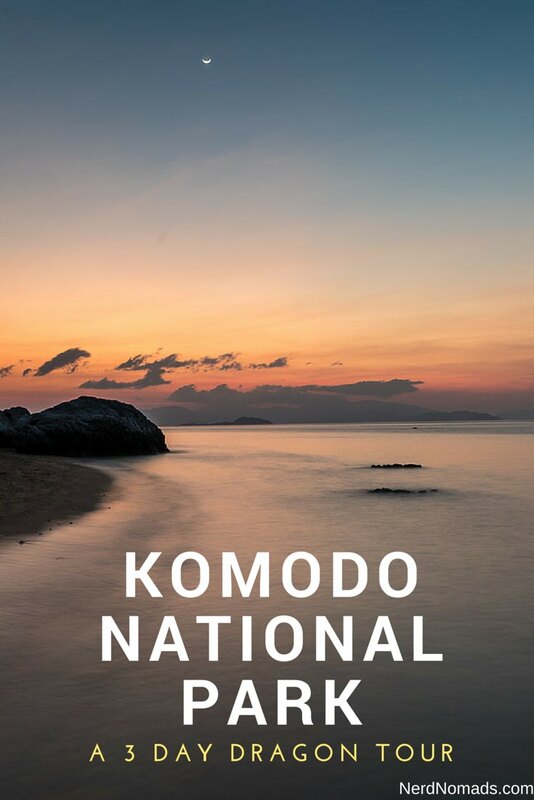 Thanks for sharing this and the first post about Komodo! My wife and I have been trying to decide on whether or not to visit (I’m in the YES camp) and your photos really bring it to life. There’s so much talk about how difficult it is to reach and also, the expenses required. I love your breakdown on the sidebar and will certainly be sharing this info with my wife. Just out of curiosity, how did you decide on going with FloresXP? 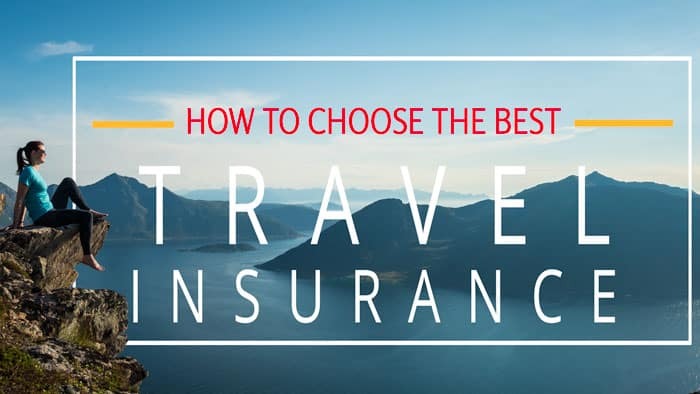 Did you decide before arriving in Indonesia or did you have them in mind from the beginning? Great post, btw! Looking forward to more on this wonderful place! 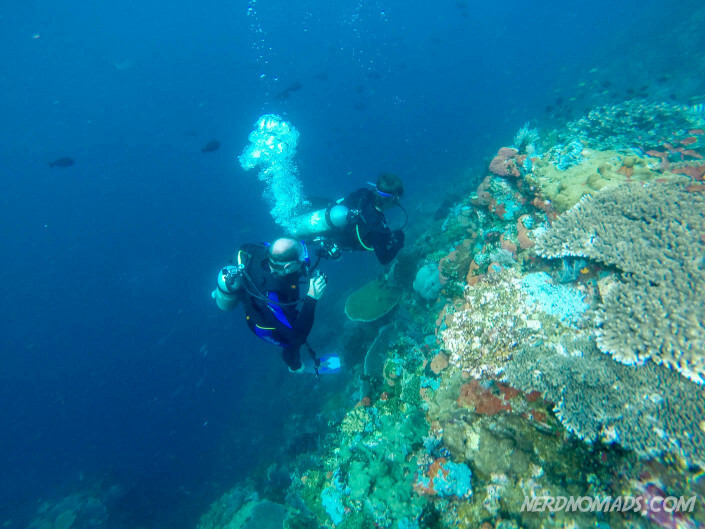 We did not book this tour in advanced, we had only booked a couple of nights at a hotel in Labuan Bajo town on Flores Island before flying from Bali to Flores. 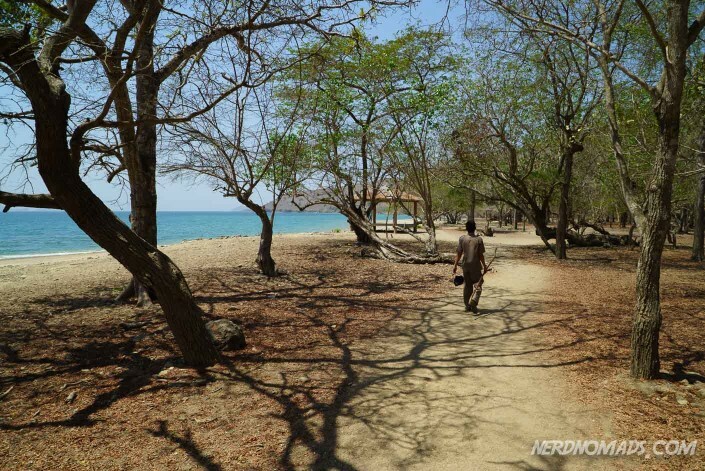 There are no lack of tour operators in the small town of Labuan Bajo, as this is where most of the Komodo Natinal Park tours start. The main street is packed with tour companies and diving companies selling tours and diving trips to the national park. Most tours are 2 to 3 days, with one or two nights sleeping on the deck of the boat. 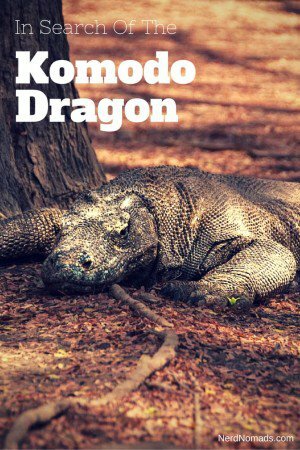 They all go ashore on either Rinca Island or Komodo Island, or both, to see the dragons. 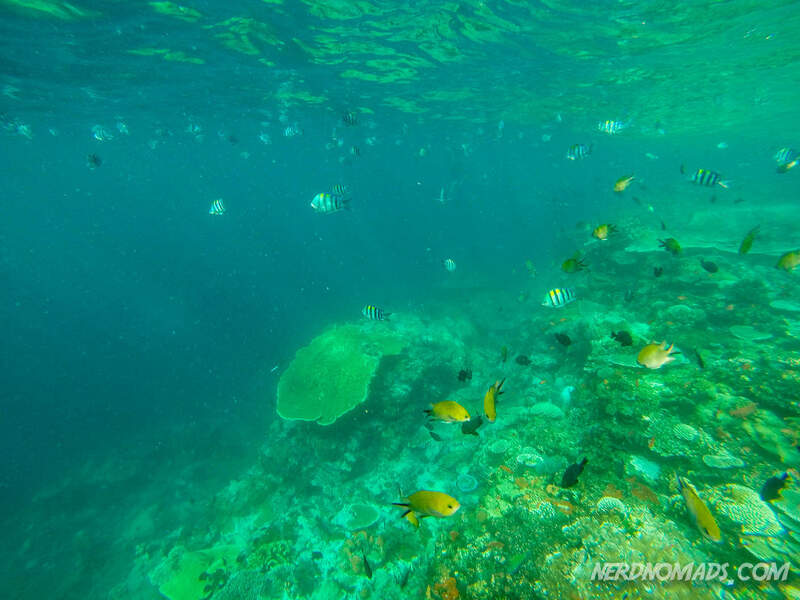 Some of them include snorkeling or diving. It was very difficult to choose between the overwhelming tour options and to be honest we felt a bit lost. 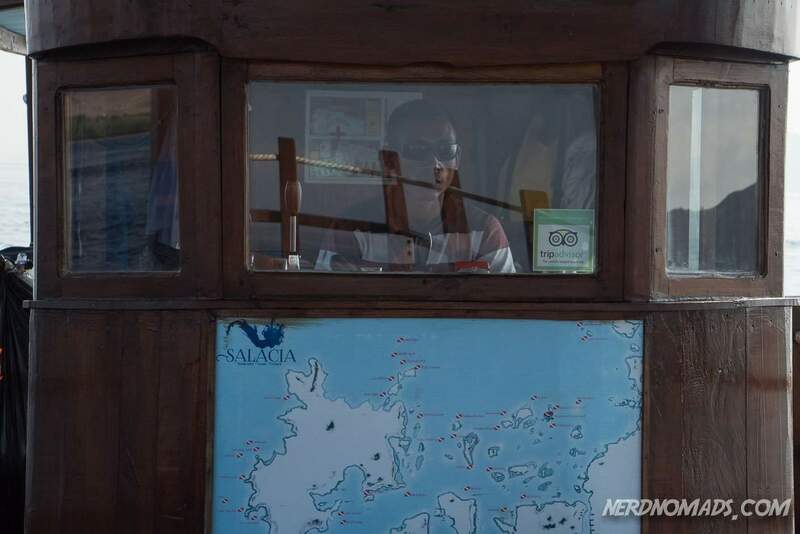 We decided to go with FloresXP as they seemed very professional, have guides that speak perfect English, and are the only company doing Komodo tours where you sleep on shore in tents (we did not want to sleep on deck of a local fishing boat packed with other people). You can find cheaper tours, usually fishing boats with local non-English speaking crew, with limited diving experience, or huge boats packed with people. 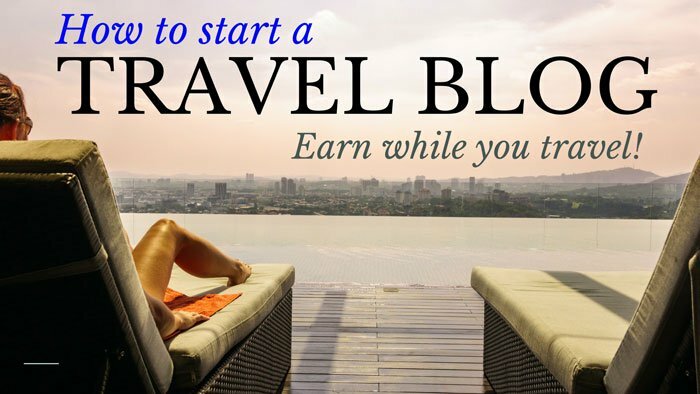 And you can find more expensive luxury tours as well where you have your own private cabin. Sometimes tours get heavily discounted if they don’t fill up, so last minute bargains are very possible especially outside of peak season. 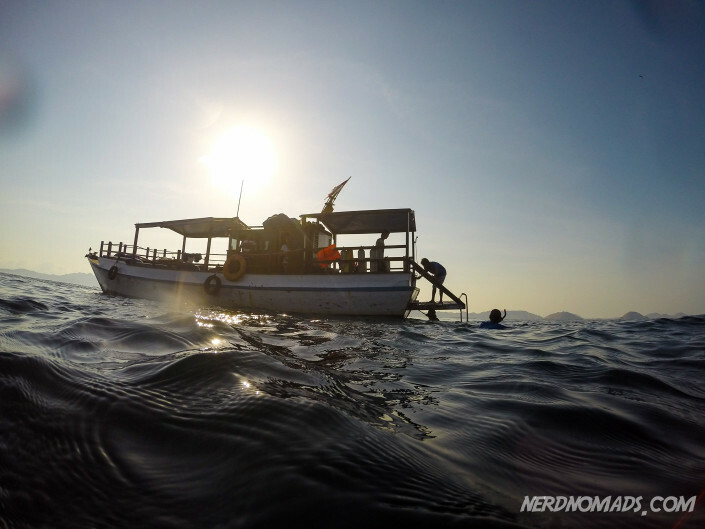 If you have the time, you can save some money making your arrangements in Labuan Bajo. You also get the chance to see the boat, meet the crew and make a deal with them directly. We did that, walked around and had a look at the boats. We wanted a smaller boat with less people (we were only 4 tourists on board), English speaking guides with experience in snorkeling, good quality snorkeling equipment, and we liked the fact that FloresXP has a campsite on an island, instead of sleeping on the roof of the boat with many other people which is common. You should definitely make a trip to Komodo National Park, hope you can convince your wife into joining you in the YES camp. 🙂 I am sure you will love it too! Thanks Kuzzok! 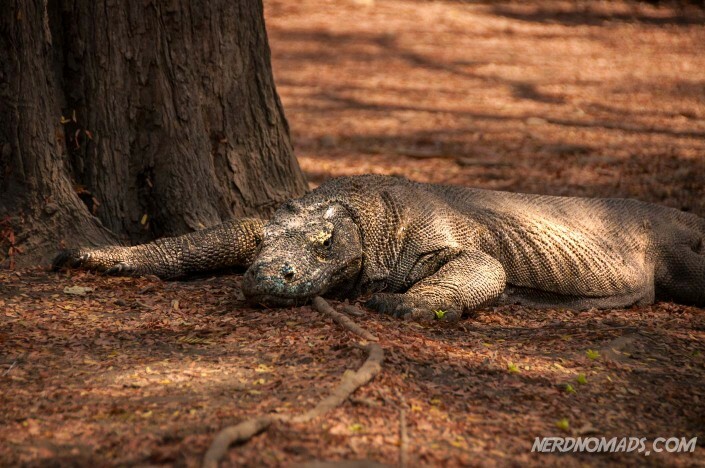 Check out our Instagram for more really cool Komodo dragon shots from that day! What a cool experience. Would love to see Komodo Dragons. Swimming in open water with mantas would be awesome. Being caught in all those fish would be cool too! Stunning photos! Its very interesting to see that all the places I’ve been thinking of have already been travelled by you guys! 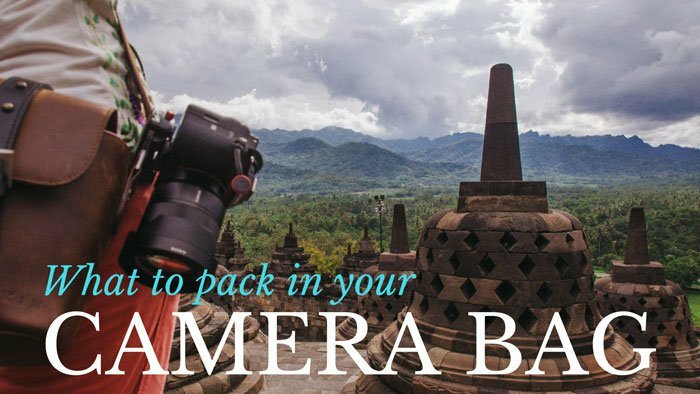 Having moved to Malaysia from India, me and my love are all excited and geared up for our South East Asia adventures:) Loved the post! Thank you so much, Aakriti. So happy to hear that you enjoy our articles about Indonesia. Have a great trip to Indonesia! 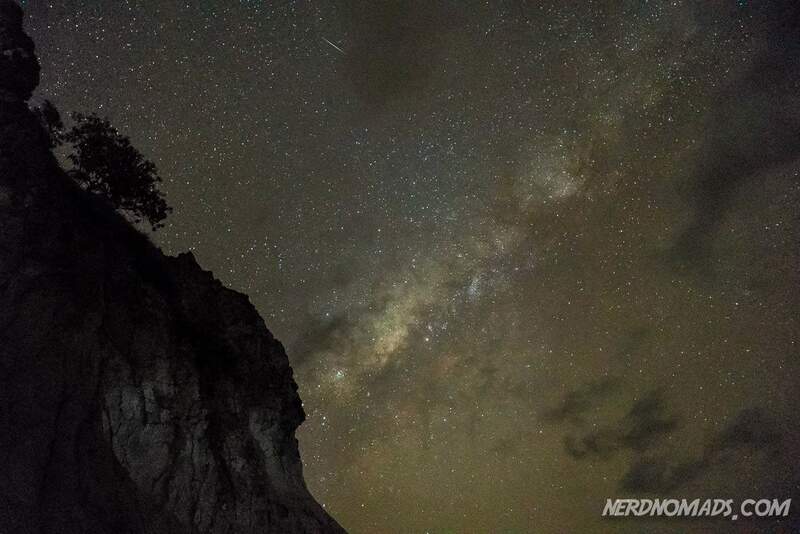 We’re flying into Indonesia for the first time this December for NYE and staying in Bali. I wasn’t sure where to go from there, but I like your itinerary and really wanted to see the Komodo Dragon. Sounds like you saw and experienced so much! Thank you for all the detail and photos.. so helpful!!! 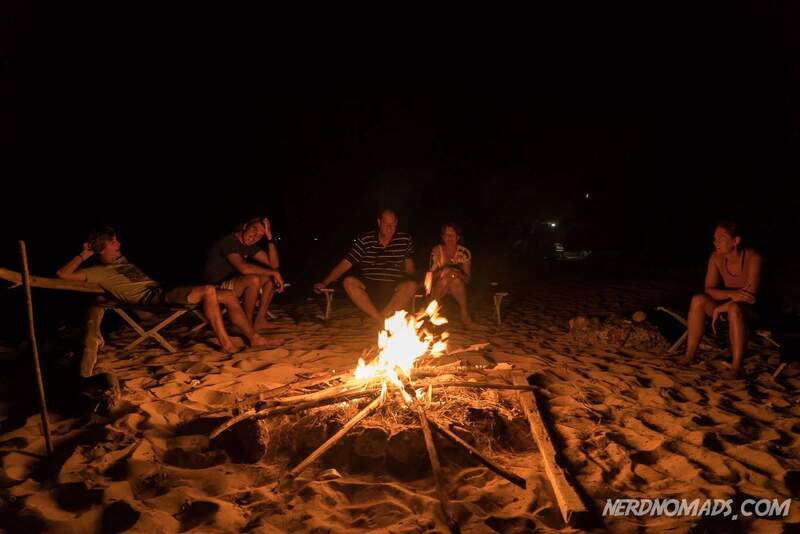 May I ask if you went to places in Indonesia besides Bali & Flores/Komodo and how they rank in the “must do’s”? Thank you so much! 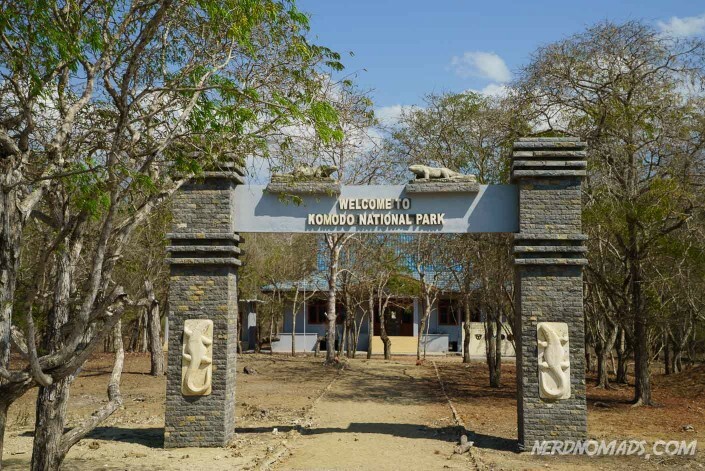 Komodo National Park is a real must if you plan to go to Indonesia. Besides Bali, we have also been to the Gili Islands and Java Island. We went to Yogyakarta on Java Island and visited the amazing Borobudur Tempel and Prambanan Temple. Borobudur is also on the Indonesian must-do-list in my opinion. Made the Unesco World Heritage list in 1991.